My name is Bok Nan Lo. 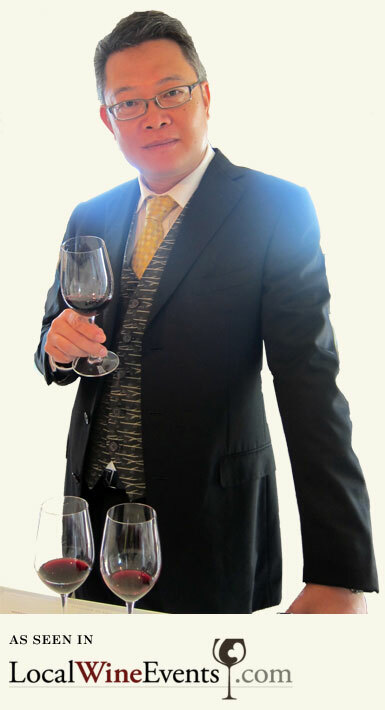 I founded Fine Wines Singapore in 2012. I am passionate about Bordeaux vintage wine and has extensive collection. You will find my earliest collection is as old as 1921! Do you know my bordeaux wine collection started out as a hobby? Over the years, I am fortunate to be able to turn my drinking hobby into a small business, sharing my passion local wide. I emphasize greatly on provenance in all our wine sourcing and purchasing efforts. Being an expert drinker for more than a decade, provenance is like wearing a dignified badge on my bottle. I only say yes to quality and great provenance wine. Because that’s what I drink. So it has to be the same for all my customers. Rest assured we price our wines very reasonably because when we sell wine, it’s not just about doing a small business, it’s more about building a wonderful relationship with wine lovers out there who appreciate fine rare wines just like us. In fact, I doubt you can find another wine merchants in Singapore that price so low as us that’s close to our costs. Starting Fine Wines Singapore means sharing my wine passion with you and that means I only sell the best wines with excellent history. I especially handpicked these great selection of wine to ensure they are worthy of your time to drink and we don’t bring in any wines for the sake of selling them. I wouldn’t risk customers knocking on my doors if I don’t study my wine well! My wines carry my name. I take absolutely pride in my cellar. Check out my extensive range of wine list here. Drinking wine is my favorite lifestyle. After hitting on many blind tasting sessions with my drinking friends, I can safely point out the brand of wine even I was blind folded. I also drink with a lot of wine connoisseurs to name a few, occasionally with Master of Wines like Lisa Perroti and Annette Scarfe. Are you interested to read my wine review and rating in Vivino? What is worth buying and what’s not? Find out more in Vivino, a mobile apps. My username is Bok Nan Lo. See you there! If you need a wine recommendation, my team and I are happy to assist. Simply email us at sales@finewines.com.sg or give us a chat at 6222-1521! As the old saying goes, “there is no great old wine, only a great bottle”.